You want to manage a huge 18-wheel truck? 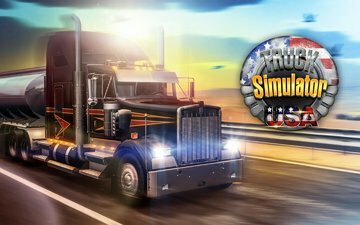 The "Truck Simulator US" you will be able to pass on this across the expanses of North America. 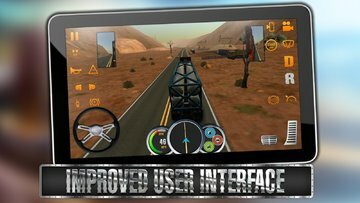 In this simulator you are waiting for the American truck tractors of different brands, realistic engine sounds and an elaborated cockpit! 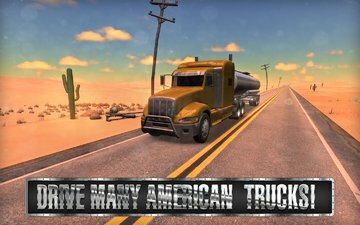 Vozite across America such goods, such as cars, fuel, gravel, products and more ... 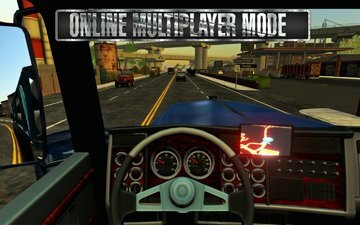 Become a professional truck driver, playing in the career mode and other players on the network! 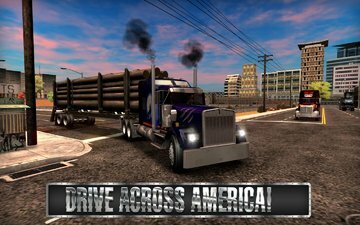 Features: • Trucks of various American brands • United States, Canada and Mexico • Different climatic zones: desert, mountains, winter, city • Improved management (tilt the device buttons or the virtual steering wheel) • Manual gearbox with H-shaped pattern shift and clutch • Realistic sounds of engines (V8, Cummins, etc...) • Other trailers • Two modes: career and the game on the network • Visual and mechanical damage to the car system • New weather (snow, rain, sun ...) • Offer new tractors or functions on our pages on social networks! Updated: 16 марта 2018 г.